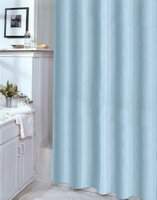 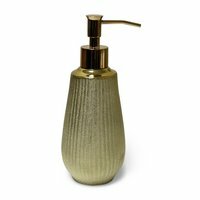 Our Hammered Gold bath collection features an opulent look. 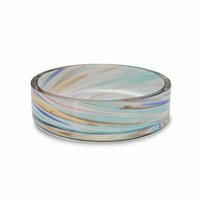 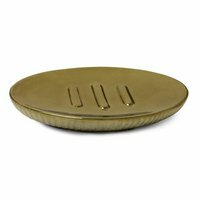 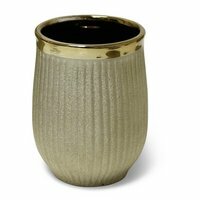 This electroplated ceramic toothbrush holder bathroom accessory features a shimmering smooth gold-tone top layer for a contemporary look. 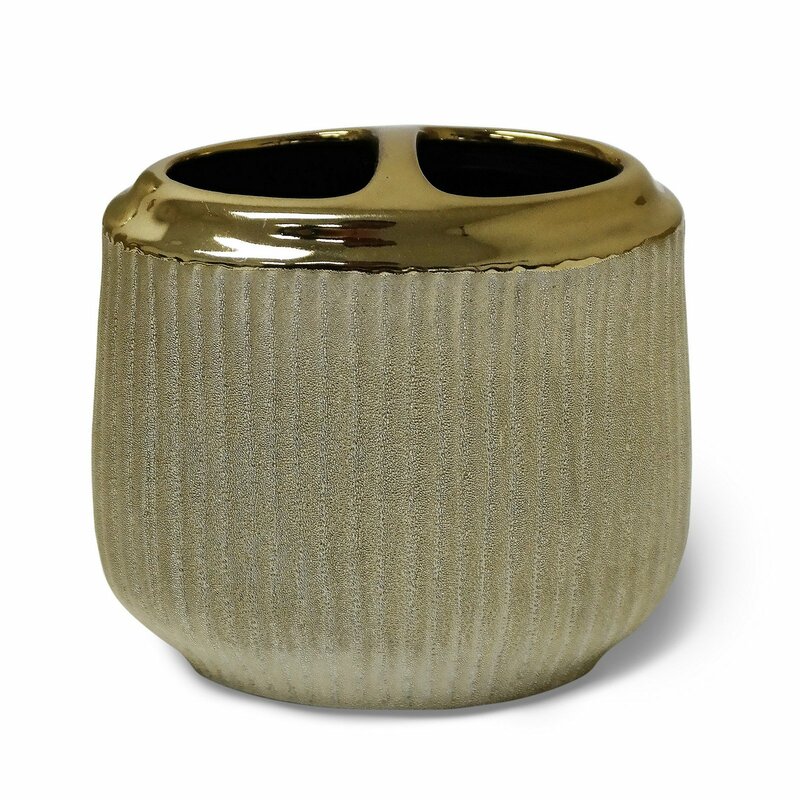 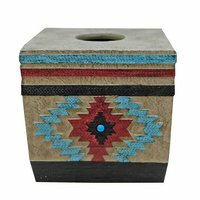 Made of stone, this sturdy toothbrush holder will provide a luxurious aura for any home. 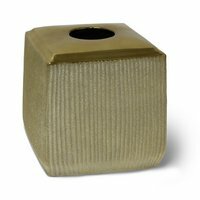 Hammered Gold - Toothbrush Holder. 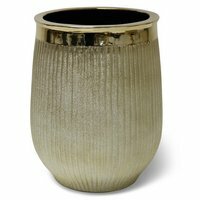 Part of the Hammered Gold Bath Collection.